An 18-year-old Gambian migrant died in a fire that broke out on Saturday night at the San Ferdinando migrant tent camp in the southern Gioia Tauro plain, where hundreds of migrants currently live. Sources said the blaze, which destroyed two makeshift structures, broke out after several migrants lit a fire to warm themselves in one of the shacks. However, investigators have not ruled out arson and will look into the incident. The San Ferdinando camp was established in 2010. Migrants from all over Italy descended on the countryside around Rosarno, in Calabria. The shacks began to increase in number and San Ferdinando was transformed into a ghetto. Made with metal, wood and plastic, the shacks are scorching in the summer and freezing in winter. Many of the camp’s residents work on farms in the area for next to nothing. 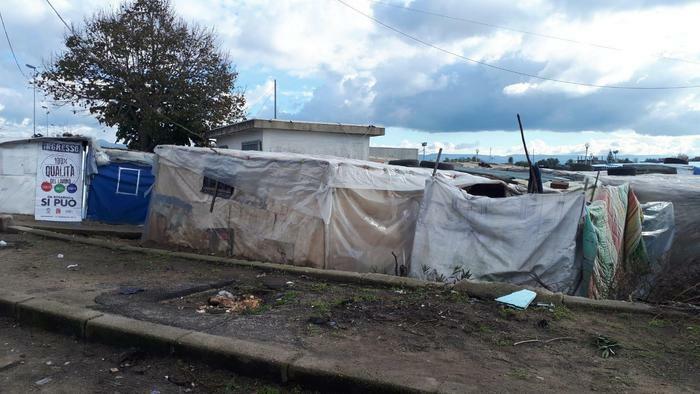 Reggio Calabria Prefect Michele Di Bari told Giornale Radio Rai that a site has already been located for a new and safer camp to replace San Ferdinando. “The intention is to substitute the tents with containers, guaranteeing water, natural gas, and electricity,” Di Bari said after a meeting with the provincial committee for public safety following the fire.